Last Game: Last Saturday in Binghamton, the Penguins won 6-2. Tom Kostopoulos scored his 500th AHL point in the win. For the IceCaps, they hosted the Toronto Marlies on last Saturday and were shutout 4-0. Last Meeting: December 4 in St. John’s the Penguins lost 3-2 in overtime. Oskar Sundqvist and Chad Ruhwedel scored for the Pens in the loss. 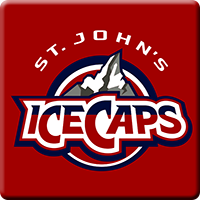 Why you should care: Much different IceCaps team from the one we saw in December. This team is a playoff team right now and has been one of the better teams in the North Division for a while now. The Penguins will need a full 60 minute effort tonight if they want to get their unofficial start of the second half of the season off on the right foot. Other Game to Watch: Lehigh Valley travels to Albany to take on the Devils. Albany is second in the North, a strong team, and should put up a good fight against tomorrow’s opponent for teh Penguins.